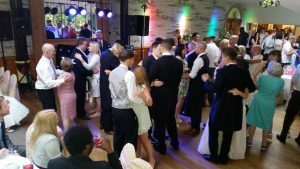 Always a pleasure to provide our wedding DJ services at the beautiful Gibbon Bridge Hotel in the rural Chipping area of Preston. 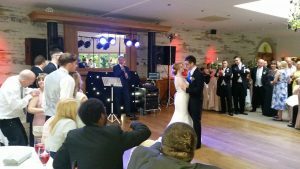 On this occasion, Mr & Mrs Cormell had hired top wedding DJ Andy B to play through their evening reception. 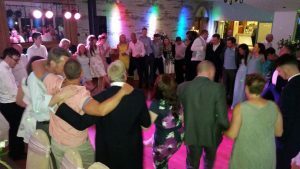 After a warm up set from DJ Andy B, he rounded everyone up ready for the first dance before introducing Paul Guard… It wasn’t long before guests joined the bride & groom on the dance floor. 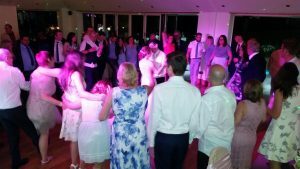 After a short break for the evening buffet, it was time to get the main party started! Fab night through to the big finish at midnight! All the best to Jemma & Jack!